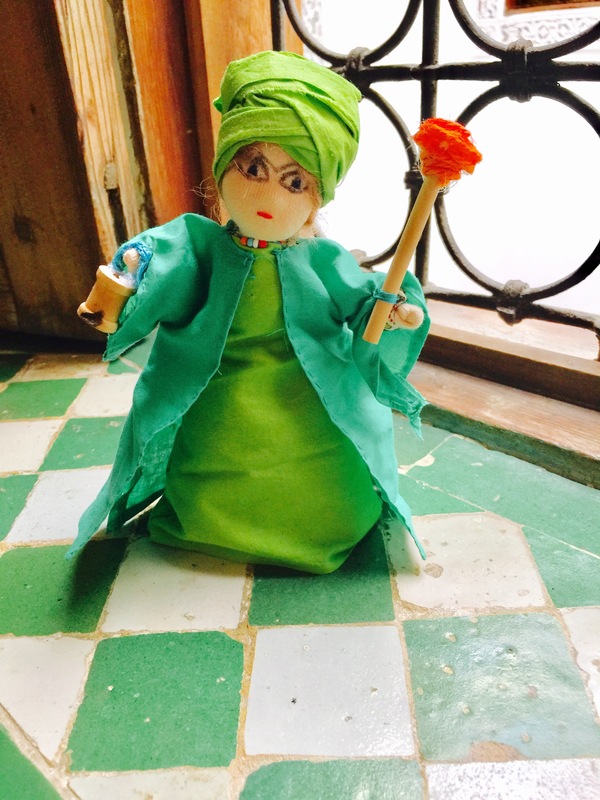 I recently had the time to make this new Dervish Doll for Rabia (q). I found a Waldorf lady doll and then added robes, a headdress, ringed eyes, a bucket and torch. I used fabric scraps to form the headdress and robes. I used a tiny wood thread spool to make the bucket and some twine to make the handle. I used a small dowel for the torch and wrapped some orange twine around the end and fastened it with glue. I used a regular eyeliner pencil to line her eyes. This particular doll highlights the anecdote of her story where she was said to carry a bucket of water to put out the fires of Hell and a torch to burn Paradise so that people would not be tempted to worship Allah (s) only to avoid Hell or to gain Paradise. If you would like to know more about Rabia (q) please see our article about her in our Waliat series: Rabia (q). Please share your ideas for making toys for Muslim children.